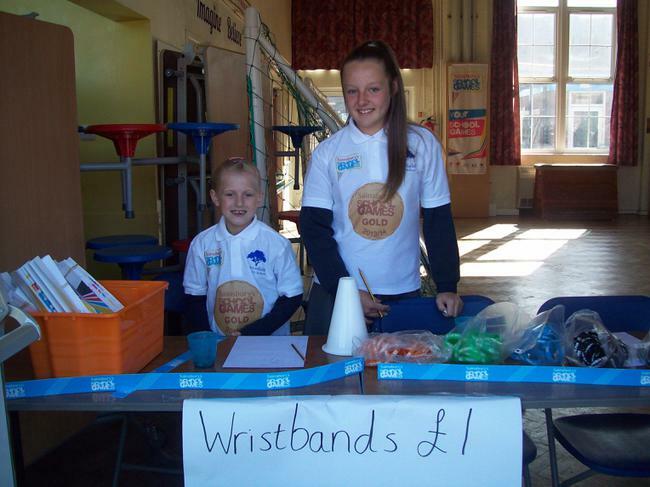 The Sainsbury's School Games Organising Crew were very busy during 2014-15. The crew then organised a cricket match between the Greenfield School Staff and a combined team from the Girls Kwik Cricket team and the B team. The children sold tickets to their parents and family. Ticket Sales were £23.50. Finally, the crew organised a sporting clothes and equipment sale in the hall. All of the stock was previously worn or used by Greenfield children. The sale was held over two evenings and raised £83. The total amount raised was £252. This money will be used to buy a new set of white sport shirts and their printing. The shirts can be worn at any of the sporting competitions that our children take part in next year. Well done to the crew for 2014-15 for all of their efforts during their own time to raise money for school.